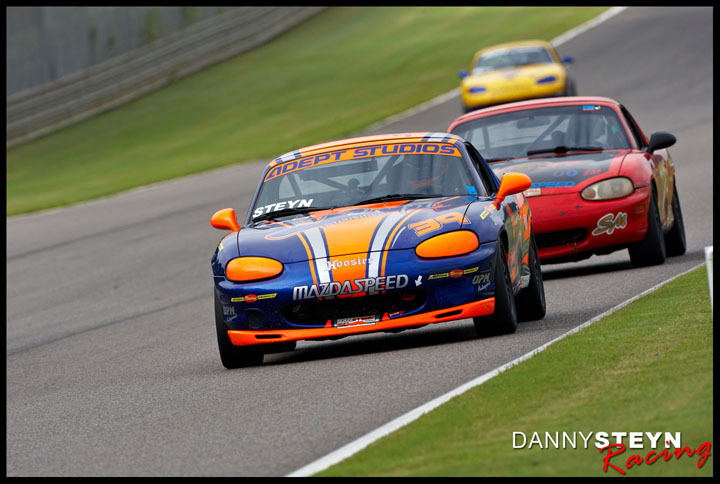 At the 2012 American Road Race of Champions held every year at Road Atlanta, arguably the most competitive race after the Runoffs, Danny Steyn fought a tough battle with Cliff Brown the entire race, but had to settle for a 2nd place finish. After qualifying on the outside pole alongside Cliff Brown, Steyn dogged the bumper of Brown for the entire 20 lap race, never more than 2/10ths of a second adrift, and together they pulled away from the field. 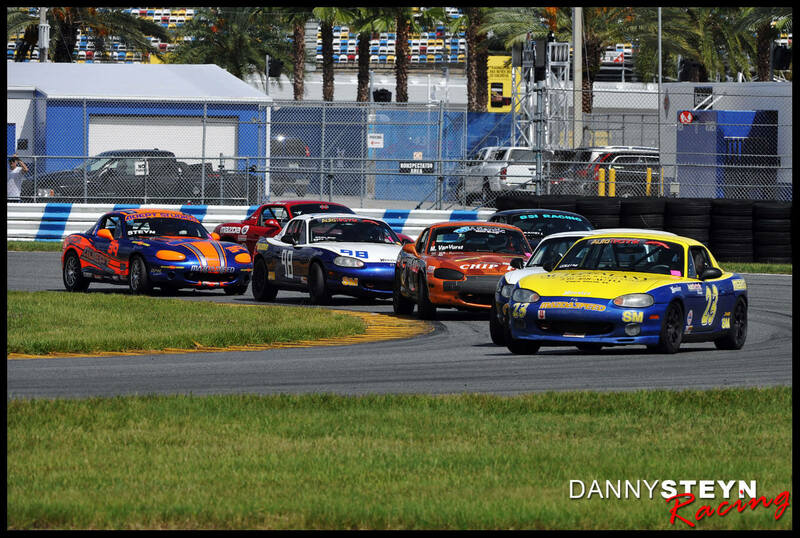 2012 Runoffs champion Jim Drago was an early contender but a mistake at T5 put him out of contention. Start of the 2012 ARRC Spec Miata Race – Cliff Brown on Pole. Steyn on outside pole. Drago and Clements on 2nd row. On the last lap Steyn managed to get past Brown going into Turn 1 and held the lead through the infield. Trying too hard to gap Brown, Steyn made a small mistake in Turn 7 that hurt his exit speed and Brown passed him on the back straight. Brown went on to win by a few car lengths. Twenty laps and never more than 2/10ths apart – now that’s racing!!!! Steyn also picked up 4th place in the Pro-IT race and 3rd in the Enduro. Steyn has two previous ARRC titles to his belt, winning the Spec Miata title in 2011 and winning the SMX title in 2010. 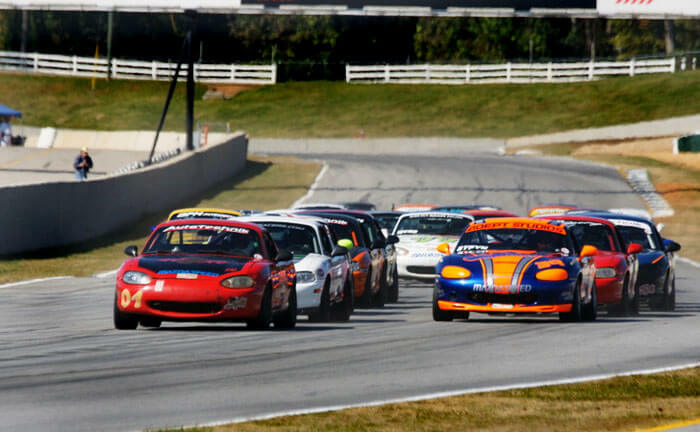 Abbreviated race video of Cliff Brown and Danny Steyn fighting it out for the 2012 ARRC Spec Miata title at Road Atlanta.